If you have completed even a basic level of schooling, you’re bound to have sat through a lesson about map reading and navigation. Yet, despite what you should have learnt from your year 8 geography teacher, navigation still proves to be a challenging skill for most outback travellers. At best, a few nav errors may result in stern words with your other half, at worst, your doomed fate will end up as the headline in a newspaper! 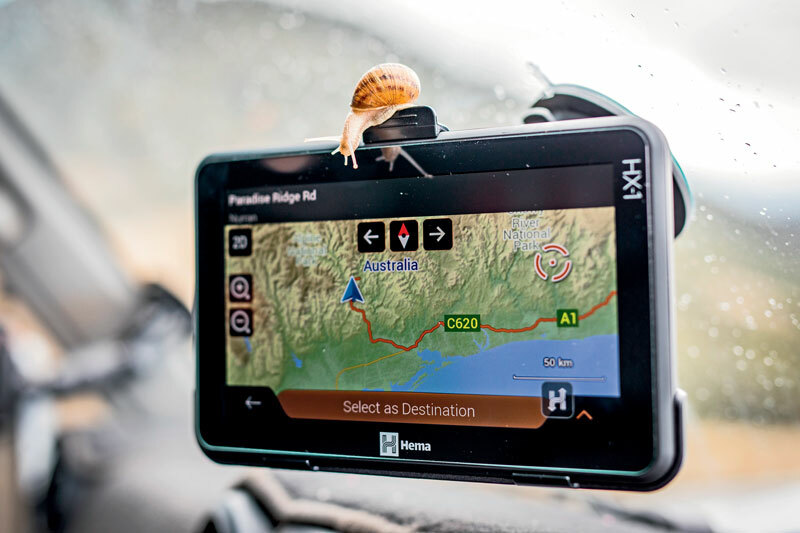 Vast distances, limited services and the unpredictability of the outback mean a freshen up of your navigation skills before you hit the road is a must. 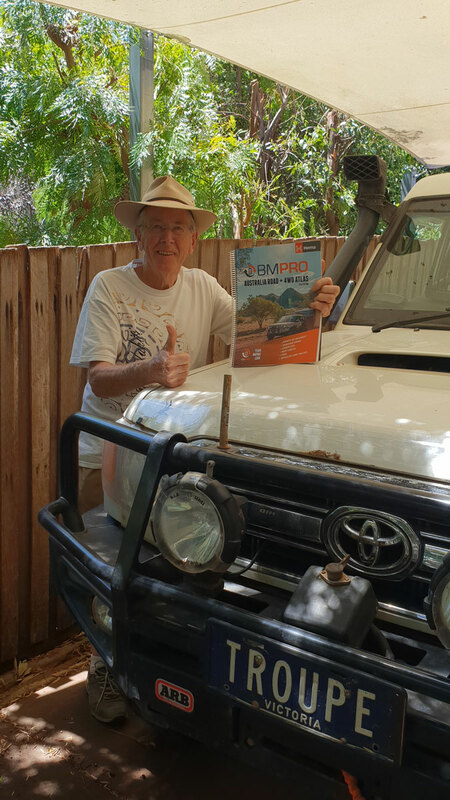 Understanding how to use hard-copy paper maps is essential for any intrepid outback traveller. While most maps include the same main features, there are a few points worth noting for outback maps. Shown as either a graphical bar or as a ratio (i.e. 1:750,000), the scale indicates the relationship between the distance on the ground and the distance on the map. So a 1:750,000 scale map means 1cm on the map is equal to 750,000cm on the ground (or 7.5km). It’s important to note that map scales vary between different maps, so it’s essential you check this when you first look at the map. This is especially important for outback travel as map scales tend to be smaller than many other maps. Due to the vast distances associated without outback travel, maps need to show very large areas in only limited space on paper, so what may only look like a short distance, could in fact be much further than you first believe. Contours are the faint lines printed on a map joining areas of equal height above sea level. The variations in elevations between each line on a map will vary depending on the type of map being used so it’s again important to look at what the contour interval of your map is. Contour lines are not printed on every map – in fact, many outback maps will not include them as they can lead to ‘information overload’, especially for maps covering large areas. For vehicle travel they are less important. Some maps opt instead to use terrain illustrations to depict the changes in the land. Outback maps, like all maps, use icons, colours and abbreviations to depict landmarks, landforms and locations. Usually these are described in a legend often on the side or rear of the map. Understanding what all these icons mean can help you gain a greater understanding of the places you will visit. However, it’s always best to do your research first before relying on a map icon. Many of the locations or landmarks listed on outback maps are just locations in name only. Often rivers shown on the map are dry or just indicative of a possible waterway during heavy rains. It’s not uncommon for a map to show a route passing through many rivers, without you ever seeing a single drop of water. Like a street directory of old, maps feature vertical and horizontal grid lines which commonly match up with latitude and longitudinal values at regular intervals. While navigation with gridlines on a paper map only is certainly possible, when the latitude and longitude coordinates of a landmark are taken from a map and then inputted into a vehicle’s GPS, navigation to the desired location can occur much more efficiently. With many outback landmarks and locations not being sign posted and unlikely to appear as a preset point of interest in a GPS, using the coordinates from a map can help get you to where you need with much less stress. When reading the coordinates, the latitude is expressed first (the horizontal line) followed by the longitude (the vertical line). It’s become second nature to most of us to rely on the GPS in our cars to plan our route and to tell us when to turn. These handy gadgets are commonplace in most vehicles now, but their use requires some common sense. Like any technology, a GPS can fail. Hot temperatures and the location of windscreen-mounted GPS units make them especially susceptible to malfunction due to heat. The preloaded maps can often be outdated and, in some cases, may not be field checked, resulting in inaccuracies. In addition, route calculation preferences and the algorithm used to select the fastest route may not be the most appropriate – for example, it may direct you along a 4X4 track which is unsuitable for your AWD. For these reasons and others, a GPS should not be your sole navigational tool. Pair it up with a paper map which covers the area you plan to visit, to ensure you’re well covered during your journey. Some might call this the ‘million dollar question’ but, really, it’s more like a couple of hundred dollars. After all, that’s the difference in price which you may end up paying between a basic app or map and a GPS navigation system. Essentially, a vehicle GPS and a smartphone will both use the same satellites so it comes down to the software each system uses. With a standalone GPS unit, you are getting a system designed solely with one task in mind – to get you from A to B as efficiently as possible. Meanwhile, the latest smartphone is built for all manner of different tasks and so navigational functionality is usually compromised. Despite this, there are still some great navigation apps which are worth checking out. Whatever your means of GPS navigation system, make sure you carry a hard copy paper map of the area as well. When used together, a map, GPS and common sense are sure to equip you to easily adventure safely off the beaten track and, most importantly, get you back home again!